Dazzling Dragons is a Slots baby game from High 5 Games, based around a theme of Chinese dragons. There are five dragons in the game, each one a different colour, and a beguiling Oriental soundtrack to help keep you immersed in the action. It has a Return to Player ratio of 95 percent, and there are five reels and three rows, with forty fixed paylines available. There are some excellent bonus features to enjoy too. Dazzling Dragons is a slots online game which is based on the story of the adventures of five dragons. 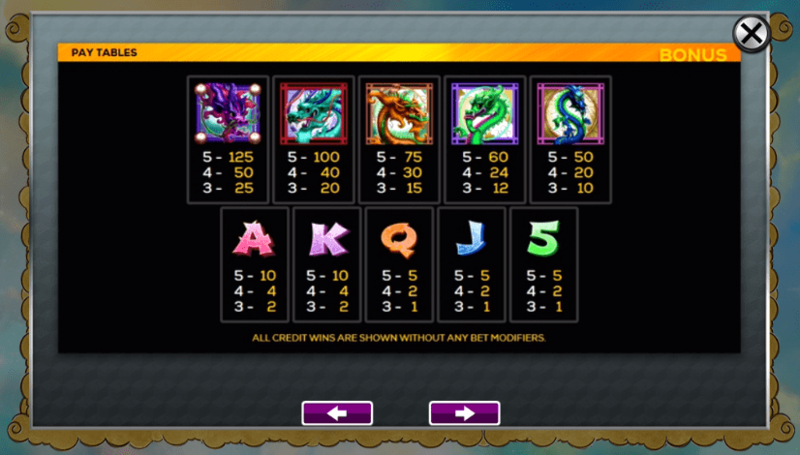 Each of the dragons in the game is a different colour, being purple, turquoise, orange, green or blue. The lower value symbols in the game are the number five, plus the letters J, Q, K and A. The purple dragon offers the biggest potential prizes, with 250x your stake on offer for five full stacks of purple dragons. It is important to note that there is no wild symbol in the game, but there is a scatter symbol which unlocks the game’s main bonus feature. This scatter symbol is an orb which resembles the moon. If you land three of these anywhere in view then you can pick up some free spins. Three scatter symbols sees you get seven spins, four symbols is 15 spins, and five scatter symbols gets you 50 free spins. There is actually very little else on offer in this game, though the potential is there for some big wins in the game’s bonus feature. Nice graphics and sound do not really compensate for the lack of a wild symbol. Play it today right here at SBaby! High 5 Games was founded in 1995 and has enjoyed a wonderfully successful existence since then, enjoying plenty of hits in its almost 24-year spell as a major player in the online casino games industry. With offices in over 50 countries across the globe, and a catalogue of over 300 games, High 5 has become well known for the high quality of its online slots game. Two titles that really made High 5's reputation were released in 2011. These games, Black Widow and Golden Goddess, set the template for High 5's standards of excellence. A year later, High 5 was named as the fastest growing virtual casino on Facebook. In 2016, they won the Electronic Gaming Review award for North America’s Best New Game. 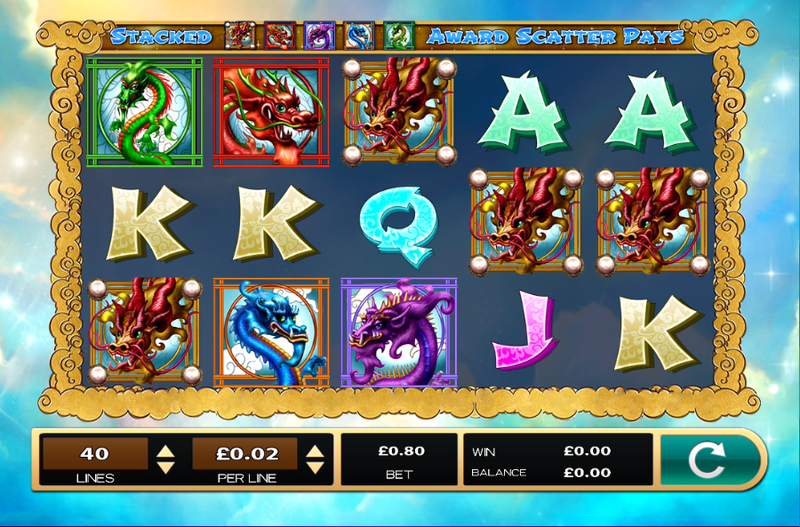 Overall, Dazzling Dragons might disappoint a few fans of online fruit machines, in that there is not really very much in the way of bonus features to enjoy. While the game plays smoothly enough, and the graphics are high quality, the game does not really go anywhere. If you see it in your favourite online UK casino then it is worth a go, but do not expect to want to dive back into the game on a repeated basis. Head to Sbaby games to play.